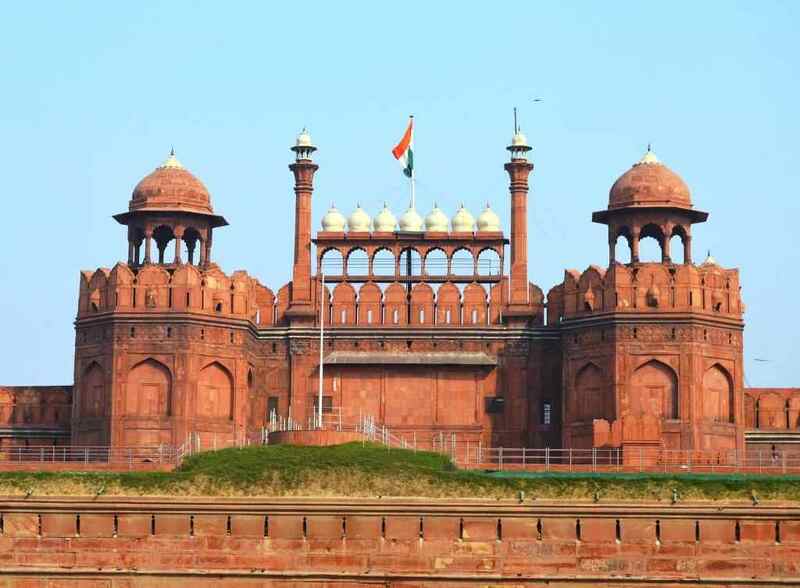 Red Fort, Delhi or Lal Kila is located in old Delhi, India. It was mainly built by Red sand stone. The Red fort complex was designated as a UNESCO World Heritage Site in 2007. Lal Quila of Delhi is the one of the main identity of Delhi and one of the most visited tourist attractions of India. It is lying on the banks of Yamuna River. On every Indian Independence day (15 August), Prime Minister of India hoists the national flag from the main gate of the fort. The foundation stone of Lal Kila was laid in 1618 by Shah Jahan. It was constructed by Shah Jahan (fifth Mughal Emperor). Construction of the fort was started on 13 May, 1638 in the month of Muharram. Lal Quila was built in 1648; it took ten years in construction. Architectures of fort were Ustad Ahmad and Ustad Hamid and it was called as Qila-i-Mubarak in Mughal time. A massive wall was built to protect the fort from enemy attacks. After the end of Mughal reign in 7 October, 1858, British officials destroyed many buildings of red fort in 1863. Red fort is situated in old Delhi in world famous Chandni Chowk on Netaji Subhash Marg. India’s largest mosque Jama Masjid is located in the opposite of Lal Kila. Lahore gate and Delhi gate are two entrances of Lal Qila and it covers an area of 256 Acre. The shape of Lal Quila is octagonal. It was built by Mughal emperor Shah Jahan in 1648. Famous Meena Bazaar is located inside the red fort, which is good for purchasing souvenirs, crafts and handicrafts items. 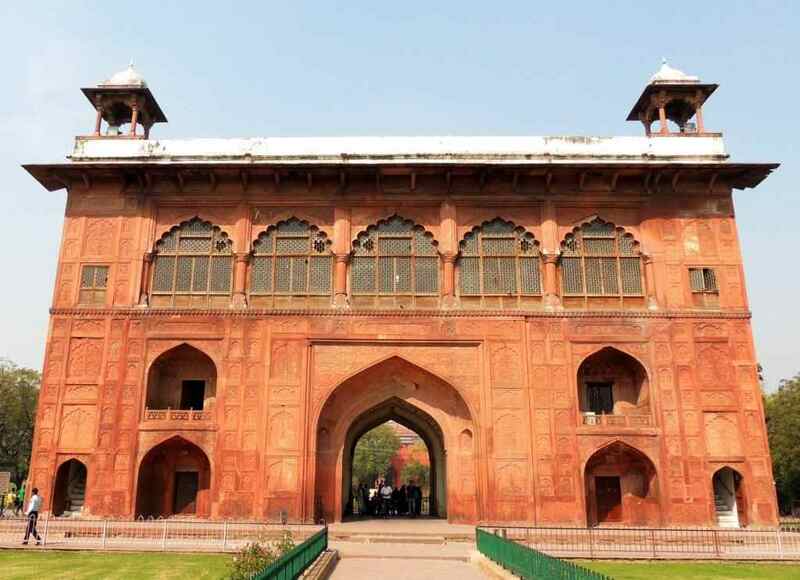 Many small and big monuments and structure are present inside the Lal Qila of Delhi, major buildings are Chawari Bazar, Lahori Gate, Delhi Gate, Water Gate, Chhatta Chowk, Naubat Khana, Diwan-i-Aam, Nahr-i-Behisht, Mumtaz Mahal, Rang Mahal, Khas Mahal, Diwan-i-Khas, Hammam Baoli, Moti Masjid, Hira Mahal, Hayat Bakhsh Bagh, Princes’ quarter and Freedom Struggle Museum (Swatantrata Sangram Sangrahalaya). Red Fort visit timing is from Sunrise to Sunset. Lal Kila remains closed on every Monday and it witnessed the maximum number of visitors during the weekend (Saturday, Sunday). Please check your schedule if you are planning to visit the fort near the Independence Day and Republic Day (26 January), official mail id is dg.asi@gov.in and contact no. is +91-11-23277705. Vehicle parking is available near red fort complex, however, public transport is recommended to reach Lal Quila due to the heavy traffic jam in Old Delhi. Lal Quila is the nearest metro station (1 KM) on Violet line. The Old Delhi Railway station and New Delhi Railway Station are around 1.5 and 4 KM respectively. Rainy season and winters are best time red fort due to pleasant weather, Delhi summers are quite hot. 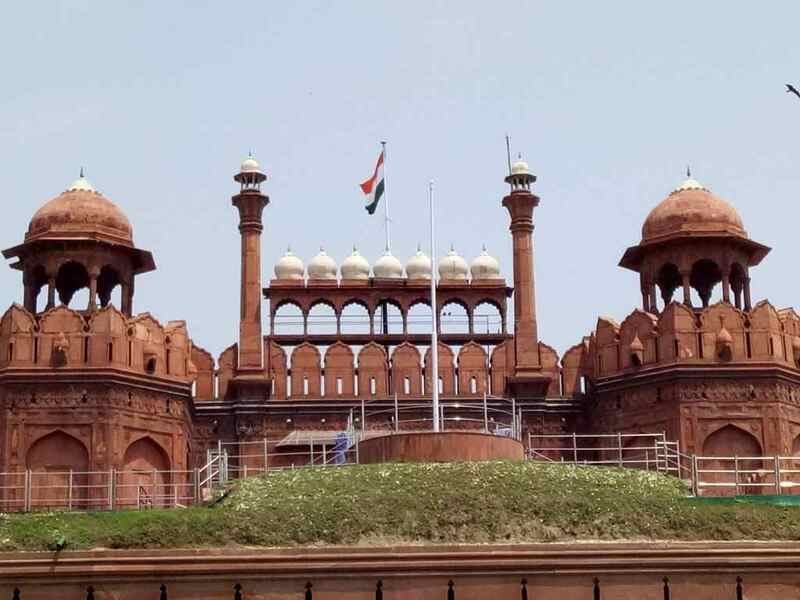 Sound and Light Show tickets can be booked online by visiting this link, light, and sound inside the red fort in open-air theater is a must watch show and it brings back the visitors to the glorifying history of Lal Kila. Visit of Red fort is quite good and refreshing for visitors, it improves the knowledge of kids and adults about the history of India. It is a good place for Experience Seekers, History Buffs, Wanderers and Photo Fanatics. Don’t miss the visit of Archaeological Museum inside the Red Fort. Check: Places to visit in Delhi to cover all major tourist attractions.